We're coming up on the end of our 30-Day Paleo Challenge to start 2015 off on a healthy first step. So will I be eating healthy Paleo Super Bowl Snacks this weekend, or will I be drinking beer and the typical pub fare? Good question, but first: a quick story. The first two years that I did paleo challenges, I started with 30 days, took Super Bowl weekend off, and then did a second 30-day challenge. If this is your first time committing to a 30-Day Paleo Challenge, I recommend trying this. Why in the world would I recommend taking a few days to add beer or gluten back into your diet after convincing you to successfully take part in a thirty days of healthy eating? 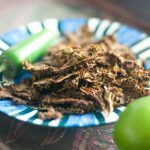 Have I told you about my experience in Thailand, eating my first Western meal in days? I felt like sh#! What I realized was that there wasn't anything in particular that was wrong, but I felt bloated, brick-in-my-stomach-feeling, and lethargic. Really, that was my usual, what I had thought was normal. Prior to that experience I had always thought “oh yeah, another one of those gluten-free people“. How silly of me; I know better now. 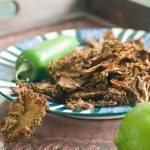 So if you haven't eating non-paleo after eating paleo for a month, try it for a couple days and observe how you feel (what better way than to indulge in non paleo super bowl snacks?). 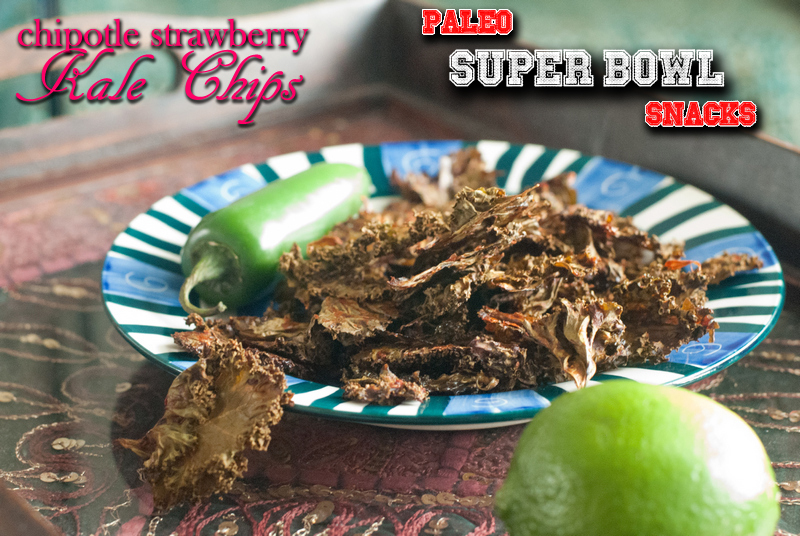 Paleo Super Bowl Snacks or Not? The answer: I don't know, hahaha. It depends on where I watch. If I find a house party to go to then yes, I will make paleo Super Bowl snacks, but if I end up at a pub I will be eating nachos and drinking beer (although to be totally honest, I said the same thing last year and didn't have nachos until months later). And for those of you who want to know who I'm cheering for this year… I just have the same hope as every year: an awesome competitive game (which seems like a lot to ask from Super Bowl games most of the time). Just kidding, Go Seahawks! You've probably noticed that I'm more about salty and savory snacks than sweet, so here's a surprise from me! 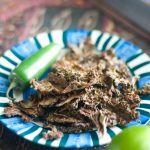 Almost like a spicy, crispy fruit-leather, I added salt after as a personal preference (I also dipped them in our Paleo Tzatziki Sauce which I could really eat anything with). 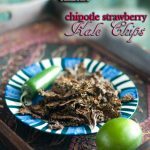 I love this flavor combination or strawberries with peppers (Chipotle Strawberry Chicken Wings, Strawberry Jalapeno Iced Tea, etc.). And we've got tons of other great Game-Day Snacks. Sauté onions in ghee in a frying pan over medium heat. Remove from heat when soft and put in blender. 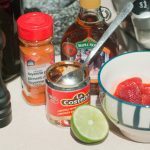 Add chipotle peppers and adobo sauce, cayenne powder, strawberries, maple syrup, and lime juice, salt and pepper, and blend together until smooth. Put kale pieces in a large mixing bowl and toss with strawberry mixture. Coat thoroughly massaging with your hands (get those fingers nice and saucy!). Bake for 1-2 hours (depending on oven, kale, thickness of sauce, altitude, moon cycle, etc.) until crisp – but not burnt! Keep a close eye once sauce begins to dry out. (I added more salt at this point – but that was my own personal preference – it was great without it as well). 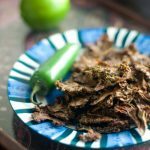 I really enjoyed dipping these in our Paleo Tzatziki Sauce which I could really eat anything with! It goes really well with the tzatziki!